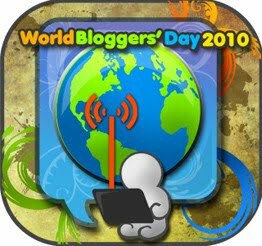 World Bloggers'Day Launch in Cebu will be held in Parkmall this May 2, 2010. World Bloggers Day 2010 will be the first to happen here in Cebu on May 2 at Parkmall, Mandaue City, Cebu, Philippines or perhaps a Bloggers' Day in the world. The celebration aims to celebrate the significance and influence of blogging. Some of the things that may happen during this day are as follows: Live Blogging, Blogger of the Day, and many more! Be there at the World Bloggers' Day and participate in this momentous and a first of its kind event! This event is open to all bloggers not only in cebu but as well as around the world! For more details, you may check the World Bloggers Day fan page in facebook Here.